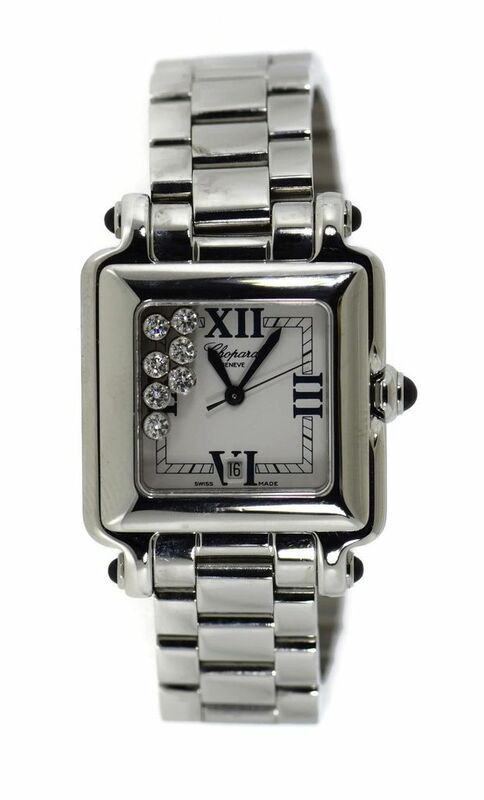 This watch is also known as: 27.8895.23.11 , 27-8895-23-11 , 27-8895-23-11 . 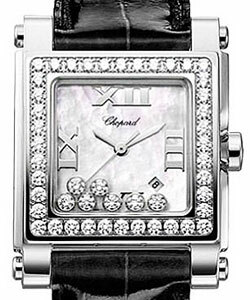 This very stunning Chopard Happy Sport Square sports watch has an 18k White gold bezel and stainless steel 27mm square case and bracelet. 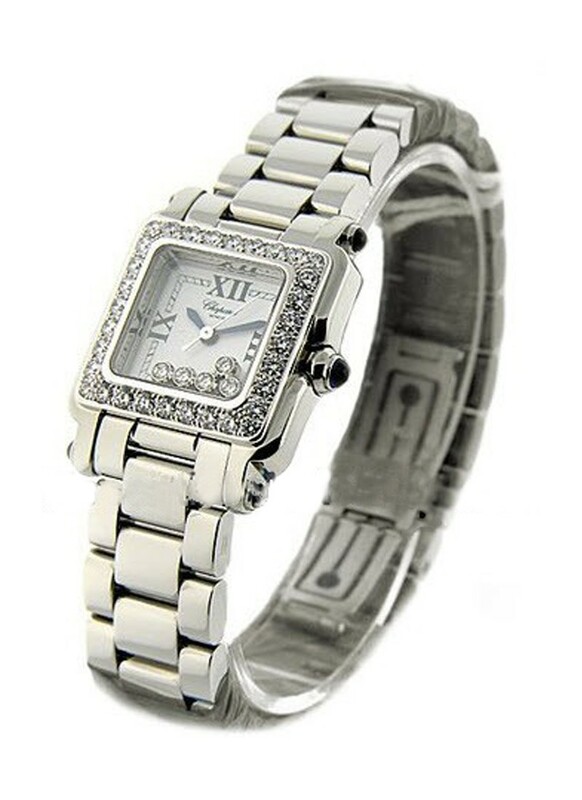 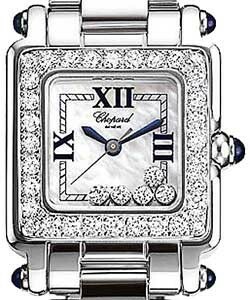 This Chopard watch has an outrageously 32 diamonds set with the Bezel(1.07 ctw). 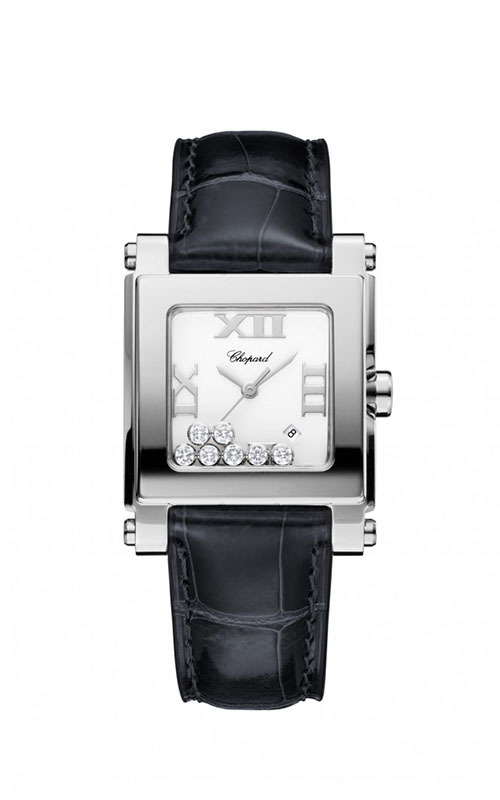 Another is that it has a white MOP(mother-of-pearl) dial with 5 floating diamonds (.15 ctw), and black roman numerals. 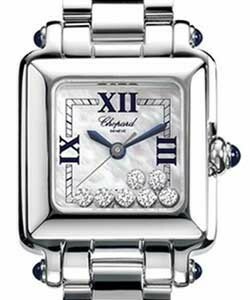 This Chopard sports watch has scratch resistant sapphire crystal, and uses swiss quartz movement. 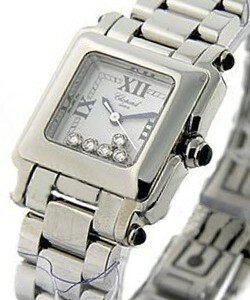 It is also water resistant at 30M.